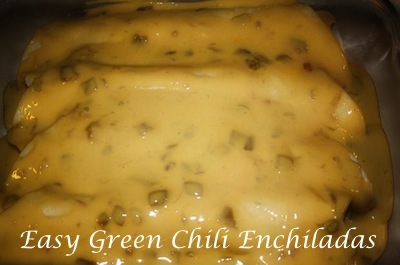 If you’re looking to spice up your dinner table, this recipe for Easy Green Chili Enchiladas may be the perfect meal for you and your family. Like all of the recipes Passanante’s Home Food Service posts, this one in particular requires very little prep time, and can be tweaked to include a number of your favorite flavors. If you want to find out more about the incredible food delivery service we provide to customers in New Jersey, Pennsylvania, Delaware, Maryland, and Virginia feel free to give us a call at 1-800-772-7786. Heat chicken soup, condensed milk and Velveeta cheese over the stove. Once melted add green chilies and pimentos. Combine meat with chopped onions, grated cheese, and chopped jalapeños. Roll meat mixture into tortillas and place the tortillas seam side down in a pan. Pour soup mixture over the rolled up tortillas. Serve Easy Green Enchiladas with your favorite Mexican rice and a fresh salad which includes diced avocado, halved cherry tomatoes, chopped red onion, a hint of cilantro and fresh juice from 1 lime. Oh! And of course, a delicious homemade margarita! Yum! This entry was posted in Beef, Poultry, Recipes and tagged Enchiladas Verde, Food Delivery Service, Grade A Poultry, Green Chili Enchiladas, Passanante's Home Food Service, Recipe by Passanante's Home Food Service. Bookmark the permalink.